You are here: Home / Crochet Other / Link Parties / Link Party 111! Link And Share Wednesday. Link Party 111! Link And Share Wednesday. 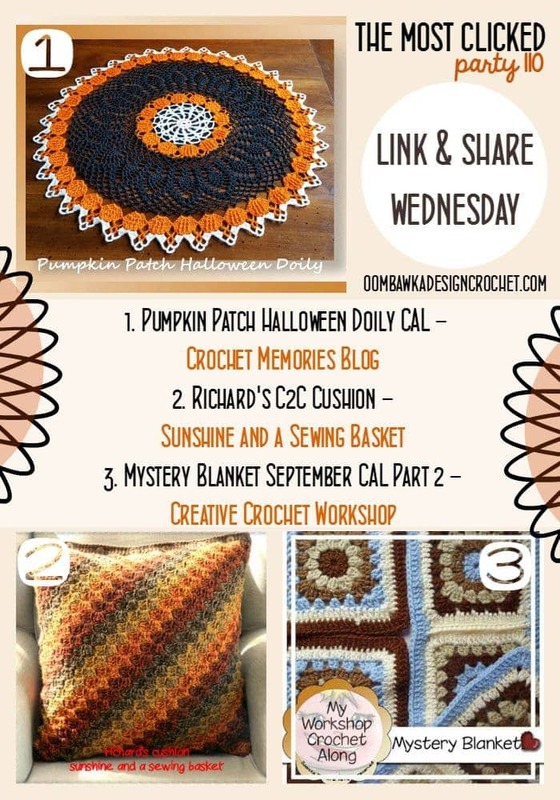 It’s Wednesday…and we have another fantastic collection of crochet patterns in our Most Clicked Picks! Welcome to Link and Share Wednesday’s 111th Link Party! Welcome to our 111th Link Party! Welcome to Link Party 111! 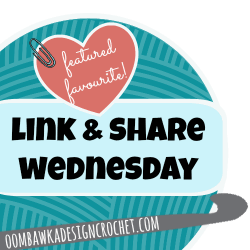 Here are the featured favourites from last week’s Link and Share Wednesday – Link Party 110 as chosen by you! . To join this week’s party, Link Party 111 please scroll to the bottom of the post! Link and Share Wednesday Party 111! Hello from Johannesburg South Africa. I have just read your latest mail and I saw a beautiful “curtain” on the Sunshine and Sewing Basket blog site. So pretty and dainty. Do you think I could get the pattern? I am also making the cushion cover pattern. Wish I had more time and another pair of hands!!! Christmas is near and getting nearer. I used to make all our decorations being on a farm in the sticks and I made literally hundreds of Santa’s, Angels, stars etc all crocheted. Miss those old days so much. Love to you all Neva.